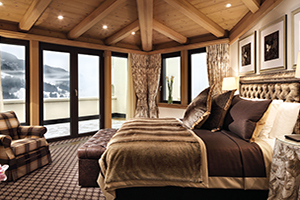 The illustrious five-star Gstaad Palace provides the first-class culture of elegance and hospitality. 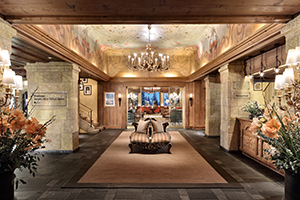 The Leading Hotels of the World member occupies a privileged location overlooking the Bernese and Valais Alps, creating a spectacular view from each of their 95-contemporary glamorous and alpine cozy suites. Their 5 renowned restaurants each feature their own unique cuisine and specialities and were awarded 16 Millau points, while the massive 19,375 ft2. Palace Spa will pamper every sense and exceed all expectations. 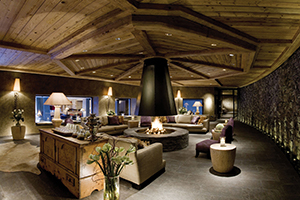 With the Walig Hut, guests can experience the authenticity and real luxury of the Saanenland up close. 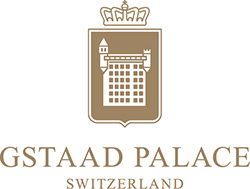 Gstaad Palace, a Swiss Deluxe Hotels member, provides unforgettable experiences in an enchanting atmosphere. 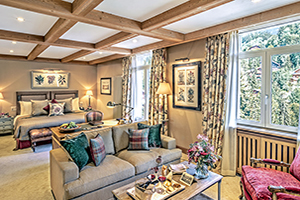 Situated on a hill above the village center in the classiest area called Oberbort, occupying a privileged location with breathtaking view over the Bernese and Valais Alps. 95 lavishly decorated rooms and suites, each with stunning views; Walig Hut provides an authentic alpine hut experience suitable for private lunch, dinner, and overnight stays. 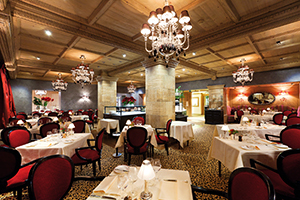 Le Grill Restaurant offers international cuisine prepared in the show kitchen and has been awarded with 16 Gault Millau points. Exclusive Palace Spa spans over 19,000 sqft and includes Olympic-sized outdoor pool. Owned by the third generation of the Scherz family and one of Europe’s last family-run hotels. 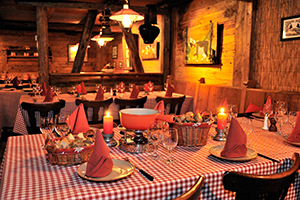 Walig Hut provides an authentic alpine hut experience suitable for private lunch, dinner, and overnight stays. 5 unique restaurants offering their own cuisine, 2 bars with live music, and the stylish, GreenGo nightclub. Expansive Palace Spa includes 8 treatment rooms, steam bath, Jacuzzi, saunas, indoor pool, and outdoor pool. Summer Activities include hiking, biking, golf at the Gstaad-Saanenland Golf Course, excursions, paragliding, and more. Winter Activities include snowboarding, skiing, tobogganing, snowshoe hiking, hot air ballooning, and more. Rent A Palace—a unique offer allowing guests to rent the hotel in its entirety for exclusive private events and meetings. Shuttle bus service and airport transportation. Children Activities available daily from 3 pm to 9 pm.